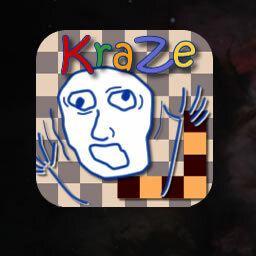 It's KraZe!!! Can you solve this puzzle? App Store: Get it here. When you do solve it, the application will ask you if you want to save the solution. If you don't mind, please take a picture of your solution layout and send it to us.